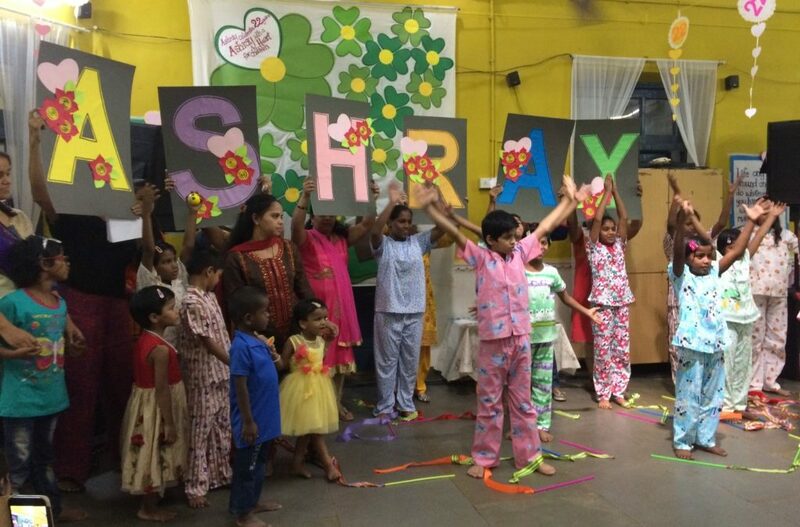 For twenty two long years, Ashray has been a home to children in crisis, that are orphaned and/or vulnerable. Born into families affected or infected by HIV/AIDS our children have benefited from the care, support and family-like environment that they receive here at the center. Ashray is one of the centers within CCDT’s Residential Care Program that aims to restore a wholesome childhood to children through health and nutritional care, psycho-social support, education, sports, recreation, family life values and personality development. The program facilitates opportunities for the healthy growth and development of children, until they are 21 years of age or reintegrated with their families, or extended family, or start living on their own. Every year, on November 1st, CCDT staff, children and donors celebrate the ‘birth-day’ of Ashray Center, and the start of a journey, which began in 1995, to ensure that every child counts and lives in dignity. This year, children performed skits and dances, as well as shared personal stories of how the program forever changed their lives. CCDT is my home and all the CCDT staff are like my family members. Here’s a snapshot of the fun activities at Ashray to celebrate twenty-two years of togetherness!